Coding: Art or Craft? explores how we think about the act of programming through metaphor. We begin with "code as craft," already a widely adopted metaphor. After defining what craft entails, we discuss how our understanding of the term is rooted in the guild traditions of medieval Europe, and then trace the trajectory of the code as craft movement from its inchoate beginnings to the fully formed movement we find today. Finally, we examine how the craft metaphor has shaped programming practices and tech culture through an emphasis on collaboration, continual learning, skill mastery, and mentorship. Often confused with the term "craft" is "art." While literature on "code as art" certainly exists, this metaphor has remained peripheral to programmers' understanding of what they do. We explore various ways that software development might be seen as art by comparing the process of coding to artistic creation. Through the examples of past artists, we draw parallels between writing good code and making art, considering creativity, depth of thought, intuition, and self-expression. Finally, we turn to aesthetics and the artistic beauty of code itself. Examples include a program in the esoteric programming language Piet, whose end result is quite literally visual art mimicking Mondrian's famous Neoplasticist paintings; Ruby code juxtaposed with a Van Gogh painting; and others. Looking at code and art in tandem show how the former can be appreciated much like the latter. Having explored these metaphors, we will ultimately answer the question of whether code is art or craft and reflect on why the metaphor we choose matters. 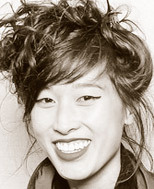 Emily Xie is a software engineer at Wayfair. She helps lead the Boston branch of Girl Develop It, which is a non profit that empowers women to learn to code. Previously, she studied art history and architecture at Harvard and worked as a product manager at a local art auction tech startup. Outside of work, Emily can be found snapping street style photography and razing villages in Age of Empires II.